Climate Change – despite some prominent naysayers – is happening. Why should Christians be concerned about this? Because the Earth is ‘our common home’. It is our only home and has to be shared by everyone. Also, the regions most affected by Climate Change are often where the poorest communities live. What can Christians do? All sorts of things! We can look at how we live our own lives and make some personal changes. We can join with others to take community actions – including lobbying our politicians to make sure they understand how much we care about the state of our planet. Pope Francis’s encyclical :Laudato Si is an inspirational way to start delving into Climate Change more deeply and features prominently in our suggestions below for finding out more and doing more. 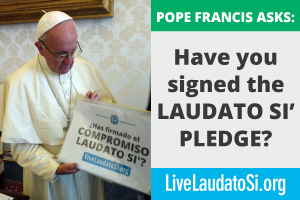 The Global Catholic Climate Movement has started a 3 year campaign to get one million Catholics worldwide to sign up to a pledge to work towards the vision set out in Laudato Si. Why not ask people in your parish to sign up to this pledge? Some of you may remember CAFOD’s Live Simply’ campaign from a few years ago. Well, now you can work to make your parish a ‘Live Simply’ parish. The Live Simply Award Scheme is a great way to involve all sorts of people in your parish to contribute through prayer, individual action and community action towards living in solidarity with the poor and taking better steps to care for our ‘common home’. Download our summary of the summary! James Martin takes all of this at a fair pace. To help you we have a download of a summary of his main points. This was prepared by Michael Emly from the CAFOD Group in Our Lady of Kirkstall parish in NW Leeds. 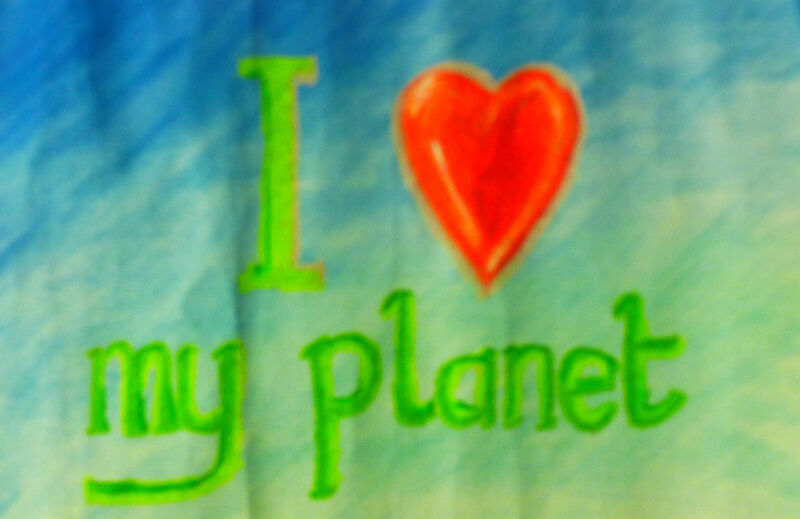 Need a good motif for your Climate change event?? CAFOD is not just about responding to disasters or feeding people in developing countries. An integral part of their work is advocating on behalf of the poor so that their stories can be heard. 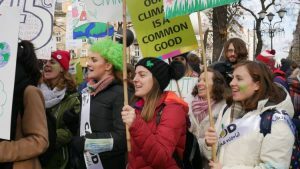 CAFOD campaigns hard about Climate Change and how it impacts on poor people across the world. 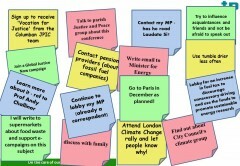 see what resources CAFOD have for exploring these issues in your parish.